Yes it’s true, it’s Jack’s birthday and on behalf of everyone at BikeCommuters.com and MtnBikeRiders.com, we love you and wish you a very happy birthday. This photo is shows a different side of Jack that many don’t know. 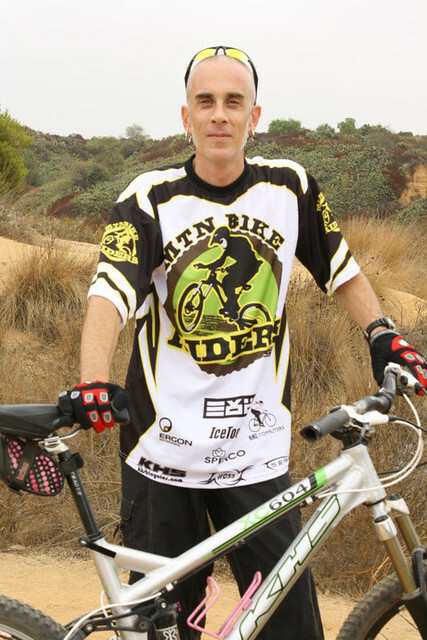 He used to be a mountain biker, if memory serves me right, he even raced them back in the day. Raced once, placed mid-pack, vomited at the finish line, never did it again! Still love offroad hijinks, though…just not in a competitive category. Happy Birthday Jack, mine was Jan. 10th. Dang. Missed it. Happy belated, man. Thanks, guys! It’s tough being the “elder statesman” around these parts…surrounded by much younger, much better-looking staffers! Happy Birthday, Jack… a few days late!